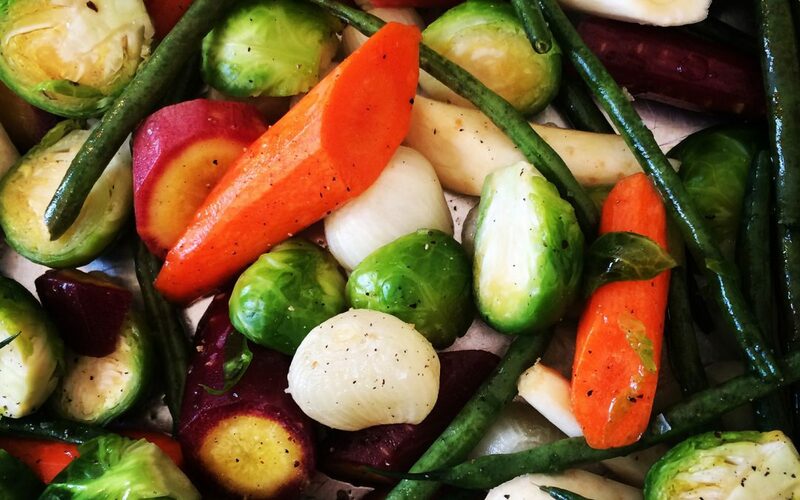 This is a universal recipe for roasting vegetables. Roasting enhances their natural deliciousness and adding lemon zest and juice after cooking makes them shine! Prep double the amount of veggies to make your week easier by having a second batch ready. Toss all ingredients in first grouping in a bowl seasoning with salt & pepper last. Roast on a heavy baking sheet 40-50 minutes, turning vegetables half way through cooking. Combine last grouping of ingredients, sprinkle over roast vegetables and serve. 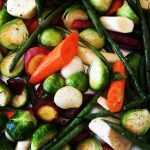 If you love roasted veggies, you have got to try my roasted radishes recipe!